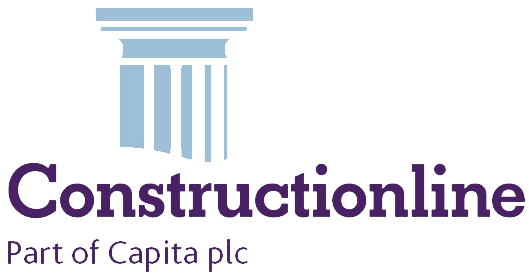 Ready Made Concrete Cambridge | What Type Do I Need? Concrete is one of the most versatile of construction materials – because there are so many different varieties or admixtures, each containing slightly different ingredients to make them suitable for specific tasks. 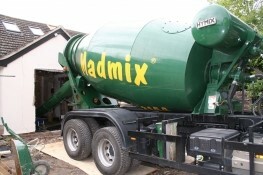 Madmix are suppliers of a wide variety of high-quality, competitively-priced ready mix concrete in and around Cambridge. Here we have compiled this guide to some of the main types of concrete which are currently on the market, and what kind of projects they should be used for. This is a versatile concrete which is suitable for most types of construction, but particularly those where space or access for equipment is limited, making delivery difficult. The upper storeys of high-rise developments, or projects which need large amounts of concrete, often use this variety. The mixture shouldn’t be too dry or too moist, as otherwise it will not flow correctly and could damage the pipe. Pumpable concrete tends to have a high cement content. Any surface which has to put up with a lot of everyday wear and tear, either from vehicle or human traffic, may benefit from using reinforced concrete. Shops and offices have a much higher footfall compared to private homes, while farms need to bear the weight of heavy vehicles such as tractors and combines. Using reinforced concrete in these cases will prevent any damage. At Madmix we also supply fibre reinforced concrete to customers in the Cambridge area. It is durable and highly resistant to cracks. The polypropylene fibres it contains also offer greater protection against moisture, cracks, shrinkage, abrasion, shattering and impact damage. While water is an essential ingredient in concrete manufacture, over-exposure to moisture can cause permanent damage. Concrete is a porous material and can be damaged directly as the water freezes then thaws. There is also the problem of corrosion of embedded steel used in reinforced concrete. So if you are involved in a project where the surface of the concrete is likely to come into contact with water or moisture on a consistent basis, you should use a waterproof variety. This includes dams, bridges and wind farms, and any below-ground structures such as basements, cellars and storage or plant rooms. The waterproofing agent which is added to this admixture gives it a high degree of water vapour resistance. If strength is not the main priority, then you should think about using lean-mix concrete. This admixture has a low cement content and is used as a sub-base for projects such as patios, paths, pavements and driveways. It will provide a solid surface and protect the bedded material from being damaged by moisture, insects and too much footfall. Lean-mix concrete is also suitable to filling in cavity walls for insulation purposes. Concrete can easily be damaged by sulphates which are present in groundwater, seawater, industrial waste water, any adjacent clay soil, and in sewers. The sulphates attack the cement paste in the concrete, altering its chemical composition and leading to structural problems such as spalling. If you are building foundations which are fully underground, then sulphate-resistant concrete is one of the varieties which you should consider using. This type of concrete acts as a firm, level underlay beneath a slab or other flooring surface. Since it is applied in liquid form, it can be used to even out irregularities. It also helps to prevent any damage from ground air and moisture. Whatever type of ready mix concrete you need, Cambridge-based Madmix are the people to contact. We can supply pumpable, fibre reinforced, waterproof, lean mix, sulphate resistant and oversite concrete. All our mixes are accredited. This means they are subjected to regular and rigorous testing, which helps to guarantee its quality. Our website has an online concrete calculator, so you can easily work out how much concrete you will need by clicking on the link. Even if you have ordered too much, we can take any excess away at no extra cost. We can deliver your concrete order to Cambridge, Huntingdon, Newmarket, Ely, St Ives, St Neots and Royston, and the surrounding areas.